If you are an outdoor fitness enthusiast or just love to adventure in nature, you’ll love Trails. Give it a try, it’s free! 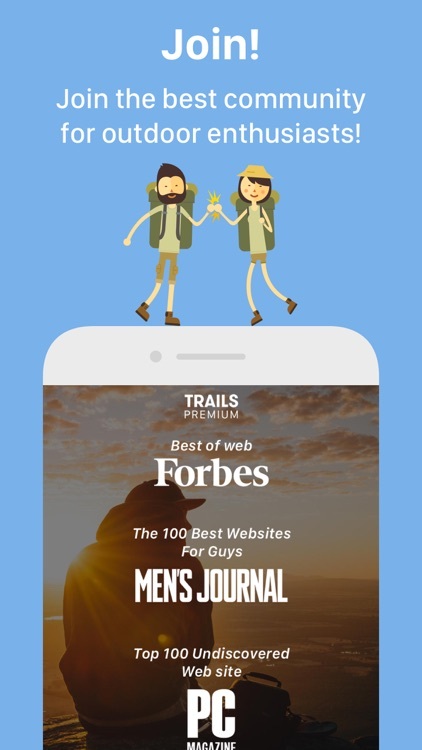 Trails.com is your guide to the outdoors! Join over 3 million fellow sport and outdoor enthusiasts! 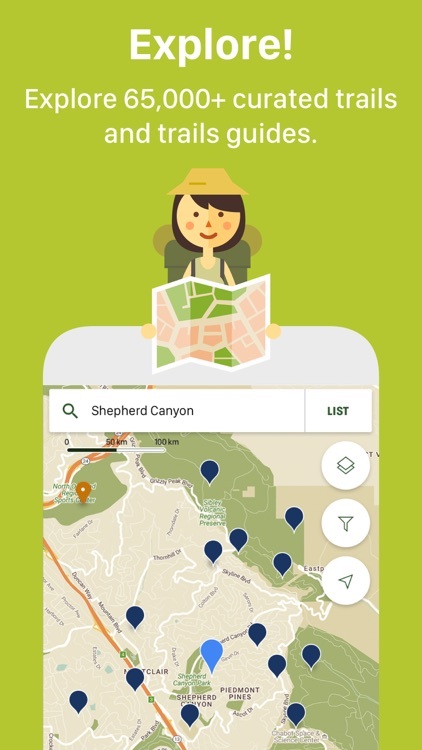 All of our 65,000+ trails have detailed route descriptions, custom trail maps, driving directions, and all the other details you need to plan your next trip into the great outdoors. Find your new favorite walking trails, hiking trails or biking trails. Find your next outdoor adventure by skill, level or length. Filter all trails by what is important to you. Browse all trails, maps, reviews and photos. Explore all 65,000+ trails and trail guides. Plan your next outdoor adventure before you go. Driving directions and GPS routes. View other users' routes and upload your own. 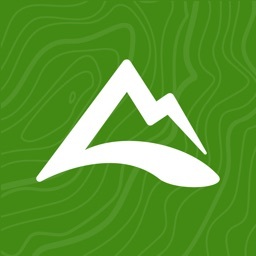 Browse trail summaries, statistics, user reviews, photos and topo maps. 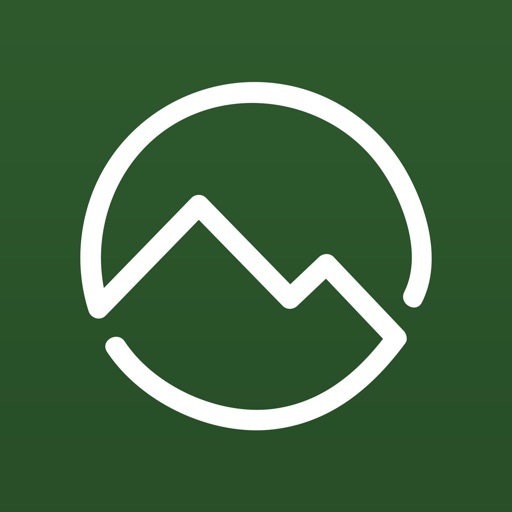 Download route guides from our extensive library of trail guides from over 1500 guidebooks covering 24+ outdoor activities from hiking, mountain biking and walking to fishing, birding and kayaking. Access guides from popular publishers, such as, Falcon and Wilderness Press. Explore community-generated walks and rides. Find amazingly beautiful photos and videos of the outdoors submitted by fellow outdoor enthusiasts. 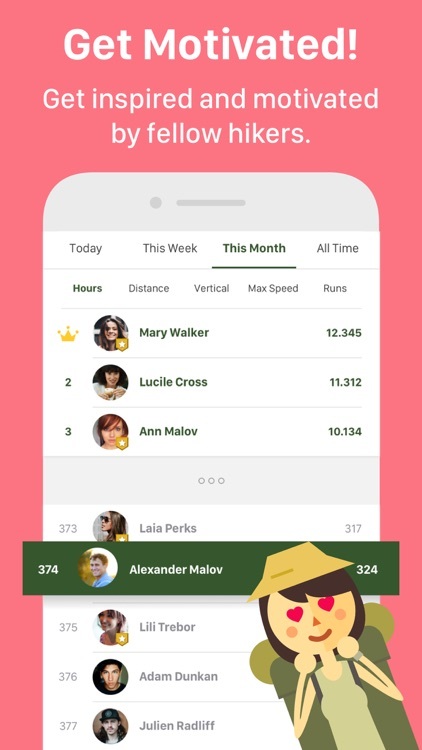 Follow along on a detailed map and track your progress as you rack up the miles. Never lose your way! 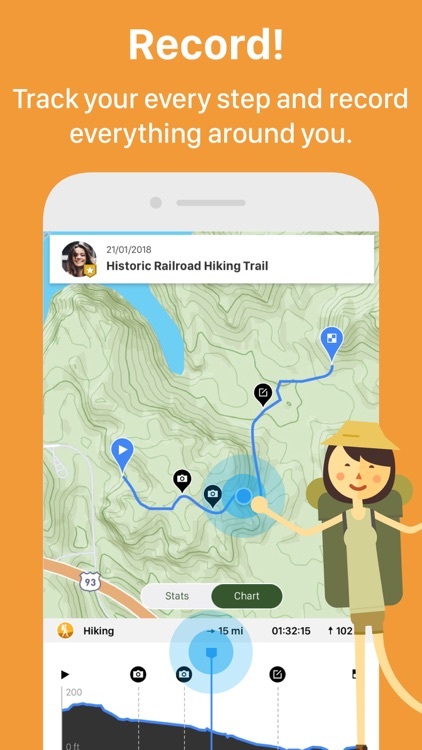 Turn your phone into a GPS tracker and follow the trail so you never get lost again. 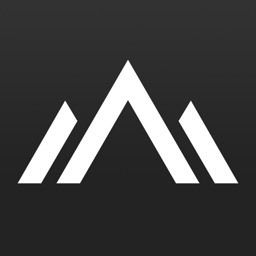 Review and keep track of your outdoor adventure stats for distance, elevation, and time. 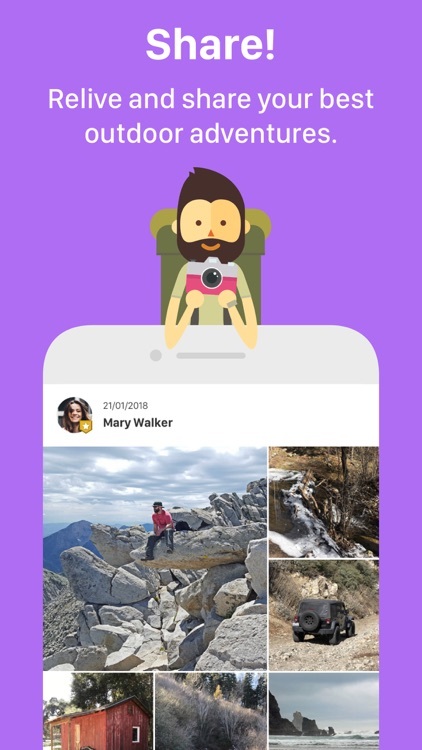 Share your outdoor adventures and experiences including photos and videos of the trails you’ve travelled, the people you travelled with and your ratings and commentary. Follow your friends and family to see where they have been and which trails they enjoyed. 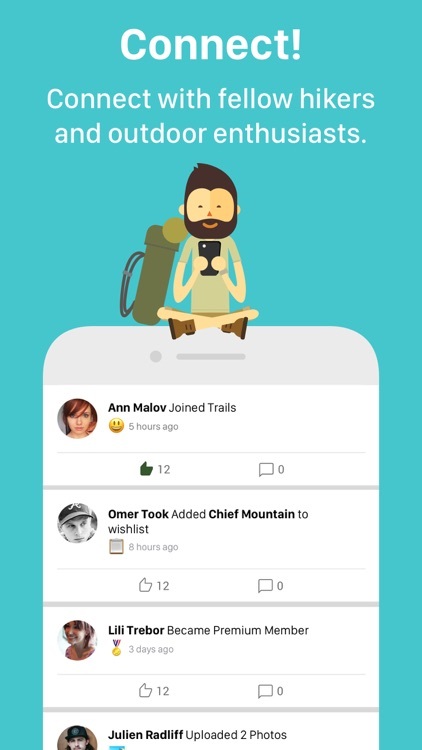 Create and share your favorite trails with the community. Save your favorite trails that you’ve completed, enjoyed, found beautiful, or inspiring. Find new trails to explore and add to your wish list. 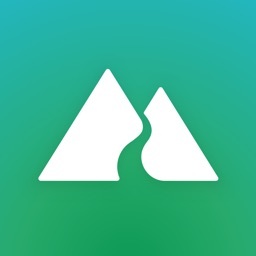 Share your adventures with friends and family on social media. Save your memories and inspire the community of Trails.com outdoor enthusiasts with your photos and reviews. TAKE YOUR ADVENTURES TO THE NEXT LEVEL WITH TRAILS PREMIUM! 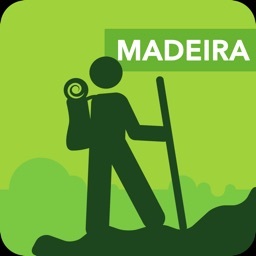 Unlimited access to all 65000+ trail guides from over 1500 guidebooks. Unlimited access to USGS topo maps. Download and save high quality map files. Hi-res map imagery with multiple scales and shaded relief. Trails Premium is available with a monthly or annual subscription. You can subscribe and pay through your iTunes account. Your subscription will automatically renew unless cancelled at least 24 hours before the end of the current period. Your account will be charged for renewal within 24-hours prior to the end of the current period. Auto-renew may be turned off after purchase by going to the ‘Manage Subscription’ page in settings.